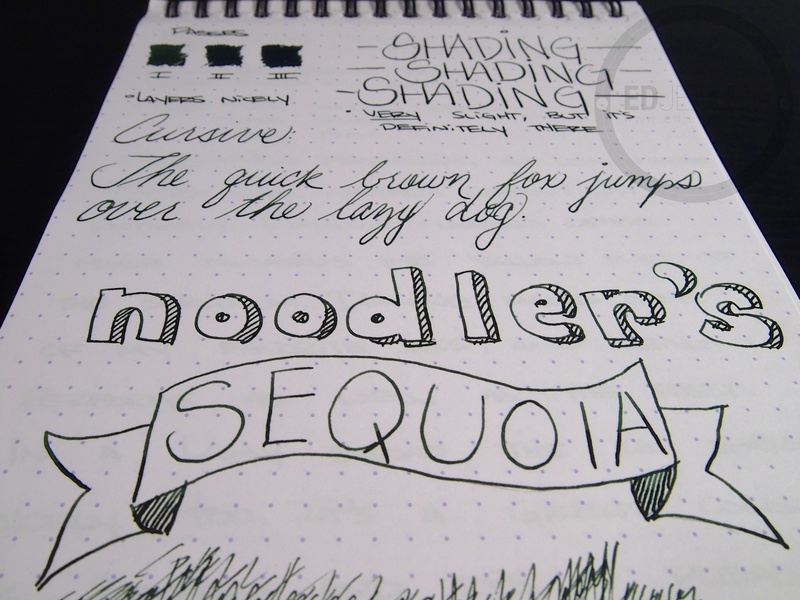 Notes: Noodler’s Sequoia. It’s nothing too unique or crazy, but that is not necessarily a bad thing. It’s a pleasing shade of dark green that’s capable of some very slight shading. 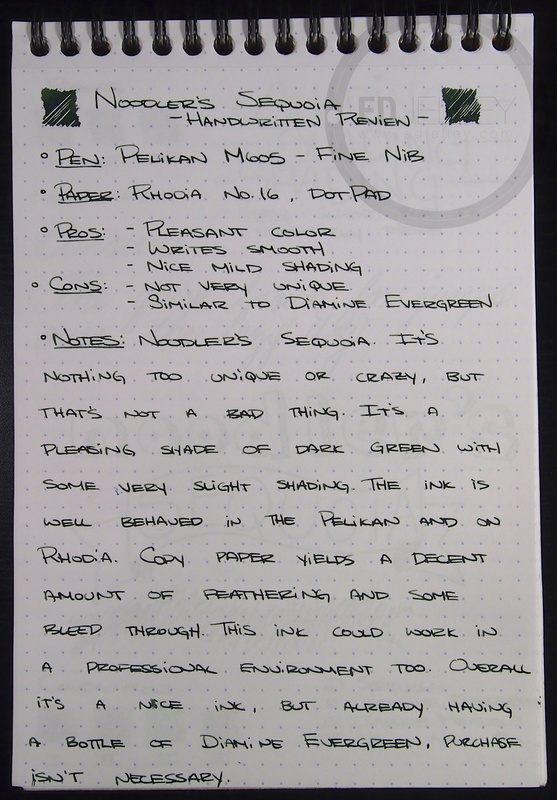 The ink is well behaved in the Pelikan and on Rhodia paper. 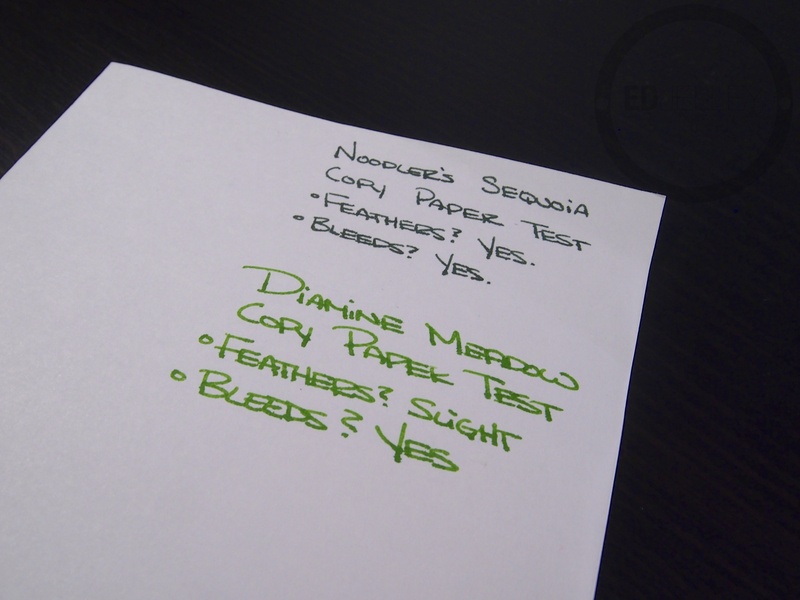 Copy paper yields a decent amount of feathering and bleeding, but that could be on account of the wet fine nib in the M605. 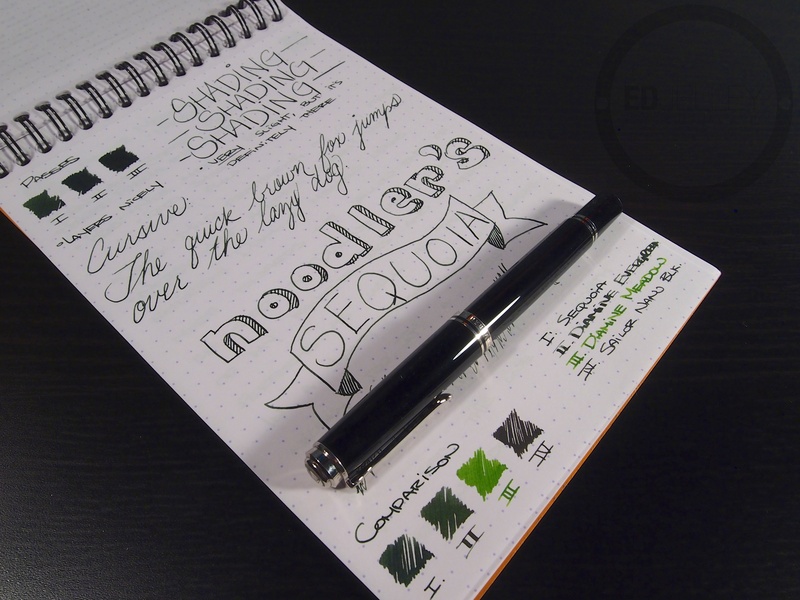 Noodler’s Sequoia could work in some professional environments, as the green is very dark. 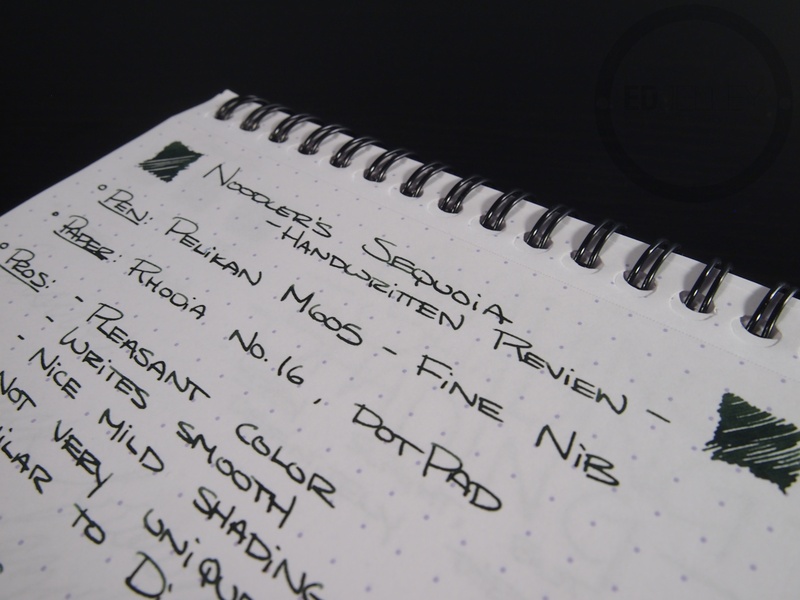 Overall, it’s a nice ink, but already having a bottle of Diamine Evergreen in my collection, buying this one isn’t necessary.  Reminder: Click here to enter ‘The Cube’ Pen Holder giveaway, Only a few days left! 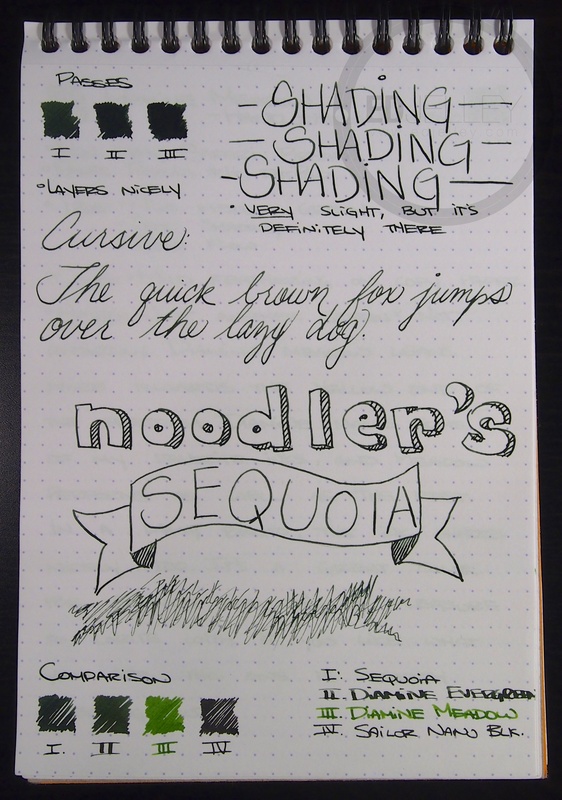 Multiple passes of the ink do darken up quite a bit. Usually this is a sign that the ink will shade. The shading is slight, but it’s definitely noticeable. 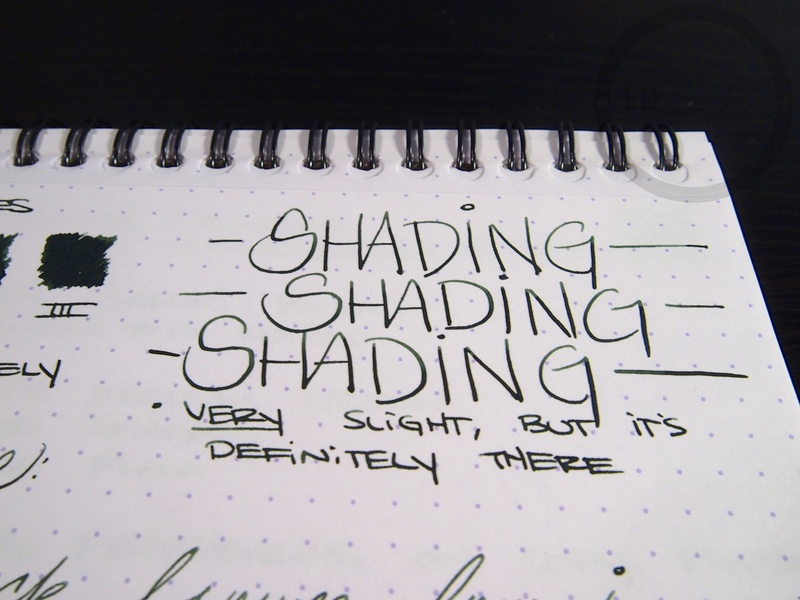 As with most shading inks, it should be more obvious in a broader nib. This ink could definitely work in some office situations. 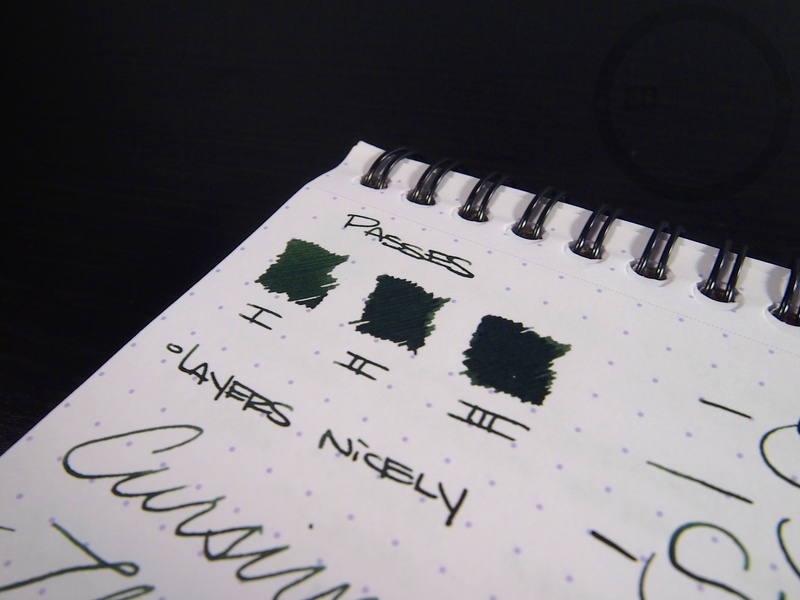 It doesn’t scream GREEN INK like a lot of others. I have no idea what was going on here. But there’s the comparison inks! 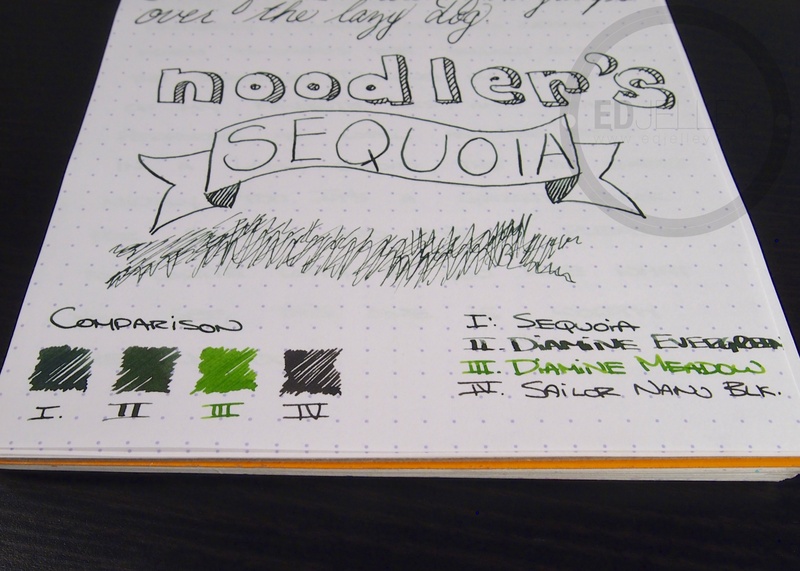 You can see that it’s pretty darn close to Diamine Evergreen. The comparison to Meadow helps bring out the green tones. Feathering and bleeding on copy paper. It got pretty hairy. 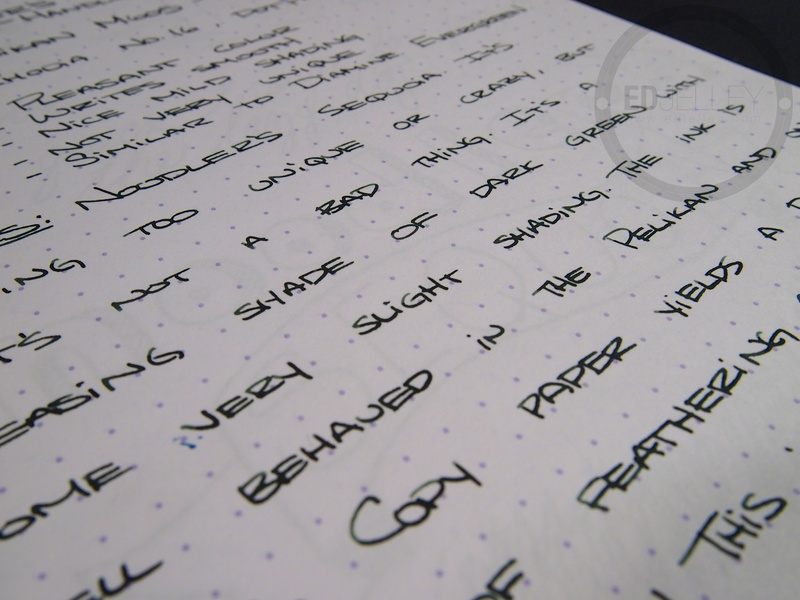 I like the copy paper test you did. Thanks for doing that. Im always curious if an ink will feather or bleed. That is a big aspect for me. Thanks! I’m going to be doing that with all the inks I review from here on out. I feel like it’s the only other part of a review that I don’t do that really helps out. Thanks for a lovely review! 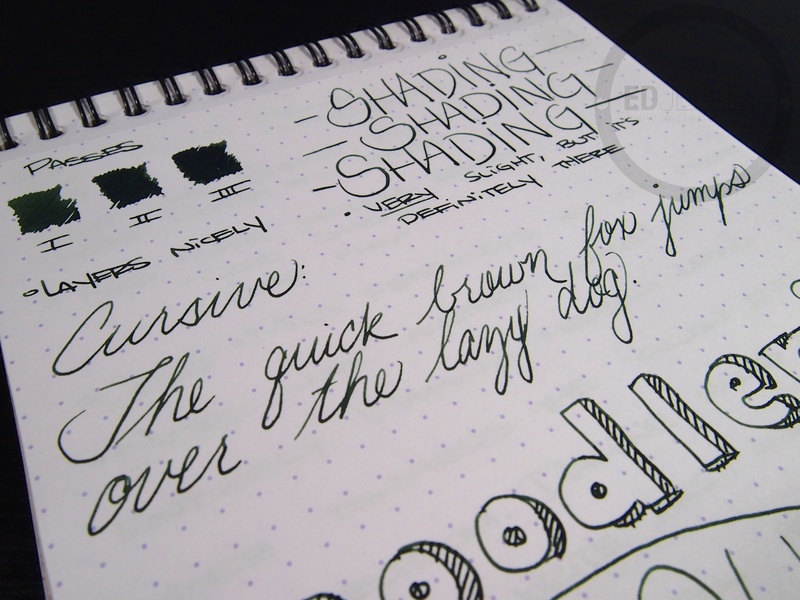 I haven’t had problems with feathering or bleeding on copy paper when using a LAMY Vista with EF nib which is not an overly wet writer.